Welcome to our Client Resource Center. We are glad that you entrusted our firm to assist you with your case and we look forward to working with you. We created this section of our website to give you an additional tool to help guide you through the process. There are a lot of commonly asked questions or concerns, so we have addressed some of them below. We want to empower you to help us manage your case. We have found that there is a strong correlation between an educated, informed, and involved client and a successful case. You will find links to go online and check the status of your (Chapter 13 only) case. You will find links to sites to pull a free credit report each year so that you may monitor your credit. You can request an appointment or e-mail a question and/or document to our office. We welcome your feedback. We have included a “Testimonials” submission area. If you have helpful feedback on how to improve this customer area, please let us know. If you would like to share your experience with other potential clients of the firm, please write a brief narrative of how working with us and deciding to file a case has improved your circumstances (names are changed for privacy). We really appreciate positive feedback and knowing that we contributed to improving our clients’ financial futures. What is an objection and what does it mean?It is very common for the Trustee or one of your creditors to object to the confirmation of your plan. This DOES NOT mean your case will automatically be dismissed or denied, this simply means that there are additional questions or issues that need to be addressed with your case. In fact, despite the language used in the objection, dismissal or denial of the case is seldom the objecting party’s objective. This is the official way for these parties to communicate with us regarding their issues or requests. As your counsel, we will respond and work to resolve these objections. If we need additional documentation or clarification from you, we will contact you. If you read the objection and it is apparent that the objecting party is requesting certain information or documentation, feel free to be proactive and provide the requested information to our office. There is no need to call our office to only confirm if we received the same paperwork you did, as we receive all of your case information electronically from the court the same day that it is filed. Do I need to respond? No, not directly. We will respond and work through all objections to ensure that your case moves smoothly through the process. If we need additional documentation to do that, we will contact you via phone or in a letter with a detailed request. If you don’t hear anything, it is safe to assume that we have it handled without needing to communicate further with you. Will an objection affect the status of my case? A creditor or Trustee objection does not mean that your case is dismissed or will necessarily be dismissed. We may, however, need to make adjustments to your case or plan in order to satisfy an objection or provide additional documentation to clarify a question raised in an objection. 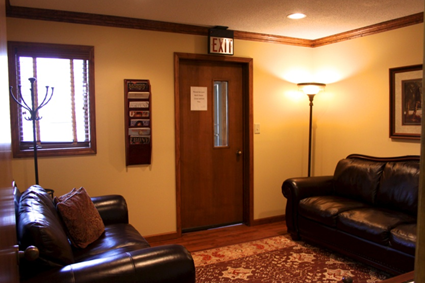 In the event that a hearing is required our office will notify you. What is a Proof of Claim? This is a required document that your creditors need to file with the court once they have gotten notice of your filing. This form establishes the creditor, their address and contact information, the nature of the debt (secured, unsecured, priority, etc.) and the amount. Most creditors have 6 months from the date of case filing to file their claim; however government agencies have up to one (1) year. The claims are generated by your creditors and filed with the court, notice provided to you, the Trustee and us as your Attorney. Do I need to respond? You do not need to respond. We routinely review all claims to make sure they are valid, have been considered in your plan and are in the correct amounts. See below regarding potentially invalid claims. Will they affect the status of my case? A Proof of claim establishes the debt you owe. If you have failed to provide information on a specific debt, depending on the amount and type (secured vs. unsecured), it could have an adverse impact on your case. If it is debt that we have already disclosed in your schedules, then it should not have a negative impact on your case.In some cases, not all creditors file a proof of claim. In this event, once the deadline has passed, that creditor will not get paid as a part of the plan and the debt will be discharged upon successful completion of your case. In the event the case is not successfully completed, i.e., is dismissed rather than discharged, the debt will remain collectible. In some cases, this could allow you to complete the case early or lower your payment. More often than not, this means that your other creditors get a higher dividend of the money you pay into your case over the life of the plan. We routinely conduct annual reviews with our clients. At that time we can review the claims status and discuss the impact, if any. Once your case has been confirmed, if you would like to schedule an annual review or routine case review, please click here. I don’t believe that I owe money to a creditor that filed a claim – what do I do? If you do not recognize the creditor listed, please e-mail our office. We will further examine the claim and can draft and formal Objection to be filed with the court to have the claim investigated and removed if it is not accurate. Keep in mind that many times you will not recognize the names of creditors filing claims as the original creditor will have transferred the rights to collect the debt either before or after your case was filed. I don’t believe that the amount listed is correct – what do I do? If the amount is significantly different than what you believe you owe, please e-mail our office. We will further examine the claim and can draft a formal Objection with the court to have the claim investigated and reduced if appropriate. When is my first payment due? We recommend that you mail your first payment as soon as possible but no later than three (3) weeks after your case has been filed. This will allow for sufficient mailing and processing time for your payment to post on time. This payment is due to be posted on the Trustee’s records within 30 days of filing. If you are on a wage deduction or checking account withdrawal, you need to see the deduction coming out of your check or checking account before you stop mailing in the payments directly. What payment format is acceptable? The Trustee’s prefer certified funds, either money orders or cashier’s checks. A personal check is acceptable, but takes longer to clear and disburse to creditors. Please ensure that you always write your name and case number on the memo line so that your payment gets credited to your account in a timely manner. Please keep records of all funds sent to the Trustee in the event there is ever a discrepancy between the Trustee’s records and yours. How do I track what payments have been received and posted by the Trustee’s office? You have access to online information regarding the payments and claims on your case. To access this information, log onto www.13datacenter.com. You will need to drop down to “Michigan”, under your Trustee’s name and click on that name. Once you get to that website, click on “log in”. The User ID is your case number and the Password is your social security number. Enter your case number and social security number without any hyphens. You can check when payments have posted and how much and when creditors were paid for the life of your case. Click the “Financials” tab to view this information. Where do I mail my payment? The addresses are provided below. Please always remember to include your name and case number in the memo line so that your payment can be posted to the correct account without delay. Who do I pay directly? In certain limited circumstances, a Chapter 13 may provide for direct payment to certain secured creditors, i.e., a mortgage or vehicle creditor. The Court favors all creditors being paid by the Trustee as part of your plan. However, if a secured creditor is 100% contractually current (including late charges and less than 30 day delinquencies) and including the creditor in your Plan is not otherwise advantageous, the creditor may be paid directly by you. Payment to these creditors cannot interfere with your ability to fund your Chapter 13 plan. You should have a clear understanding your obligation to pay a creditor directly, if any. The “Client Responsibility Form” provided when you sign your final paperwork details any creditors you are obligated to pay directly. I was not current at the time of filing, now what? You will be asked at the time your final paperwork is signed whether you were current on all creditors for which you are proposing to pay directly. All creditors file claims. Creditors are required to indicate the account status at the time your case was filed. In the event the creditor’s claim reflects a pre-filing delinquency, you will be required to pay the creditor through the Trustee and your plan. This includes mortgages, car purchases, and car leases. In this event, make an appointment to discuss the matter and modify your bankruptcy plan. The creditor has stopped sending invoices/billing correspondences, what do I do? Make the payment! Creditors will oftentimes cease billing correspondences in an effort to avoid violating certain bankruptcy protections. You are still obligated to remit the payment directly to the creditor. The creditor stopped they automatic deduction for the payment, what do I do? Make the payment! Creditors will oftentimes cease automatic deductions in an effort to avoid violating certain bankruptcy protections. You are still obligated to remit the payment directly to the creditor. 341 Hearings are held in room 315. What should I wear? Although there is no formal dress code, understand that it is a formal legal proceeding and a neat appearance is appropriate. Hats and shorts are not favored. What should I bring? Driver’s license, original social security card or original W2 form, proof of payments and any other information that has been requested of you from our office. Will I need to talk or be prepared to answer questions? 341: There are two (2) main purposes of the 341 hearing:1.) Confirm your identity through driver’s license and original social security card or original W2 form 2.) Allow your creditors and/or the trustee to ask clarification questions regarding paperwork that was filed with the court. The questions are case-specific, but generally not adversarial. Please arrive 30 minutes prior to the hearing so that the Attorney can discuss potential questions that may arise during the hearing. This hearing is held in a conference room and is conducted by the Trustee’s office. A judge is not present. The testimony you give will be under oath and the proceedings will be tape recorded. Confirmation: The purpose of this hearing is to provide an opportunity for all parties to come to a final resolution on any outstanding matters. It is also the court’s opportunity to approve the proposed plan. Generally, you are not required to answer specific questions at the confirmation hearing, but instead should be available for the attorney representing you to consult with you. Your case may or may not proceed in front of a judge for a final determination. Many times, the parties are able to resolve their issues without your having to appear in front of a Judge. One of the most significant aspects of the confirmation hearing is the Trustee’s review of your payment history in your case. Typically, you will have been responsible for making several payments prior to confirmation. Establishing that you have made all payments due prior to confirmation is critical to your case being confirmed by the Court. Oftentimes, providing documentation of payments made can be the difference between your case being confirmed or potentially dismissed. Please bring proof of all payments made whether it be paystubs reflecting deductions, money order stubs, or cashier’s check stubs. Many times employers deduct payments and do not remit them to the Trustee timely. You will be given credit for all payments deducted from your paystubs which we can document. Do I need to submit my tax returns and/or any refund to the court?You need to submit a copy of your federal income tax returns and W2s or 1099s to the Trustee’s office regardless of whether you are required to submit a subsequent refund. Further, if you are married, you are required to provide the tax returns for your spouse, whether they filed the case or not. Below are the mailing addresses to mail your returns. Please mail, e-mail or drop off a copy to our office as well for our records. Mailing addresses FOR RETURNS ONLY: Please see the “Payments” section for information on how to remit funds. If you are married and only one of you has filed, you are required to remit the portion of the tax refund that is attributable to your earned income. This can be calculated on a percentage basis. Total income was $40,000.00 ($15,000 + $25,000). Your portion of the income was 62.5% ($25,000/$40,000) thus you are responsible for remitting 62.5% of the refund or $3,125.00. If you have questions or need help figuring your responsibility, please e-mail our office. If you are married and you filed a joint bankruptcy you must remit the entire amount of your Federal refund. When filing your return, DO NOT file by rapid refund or any filing method that would require you to take out a loan to obtain your refund. What can I do if I need my income tax refund to pay for an unexpected expense? If you need to get a waiver on your income tax requirement, please e-mail our office. Please provide the specific reason why this expense is necessary (i.e. roof repair) and attach any supporting documentation (i.e. copy of an estimate for a new roof, etc.). Generally, the expense must be one which was not anticipated at the time the case was filed. It cannot be an expense which was accounted for in your budget that was filed with the Court. For example, property taxes are an expense which we are required to account for and demonstrate your ability to pay with your ordinary income. As such, we are not able to excuse the requirement that you remit your tax refunds to pay your property taxes. An exception to this is if you earned substantially less income than anticipated. Alternatively, if you earned substantially more income than anticipated excusing remittance of the tax refunds will be more of a challenge. My income has increased and/or decreased, what do I need to do? Please set up an appointment to meet with the attorney and discuss your change in income. Please bring in recent paystubs or proof of income for whoever is working in the household. We may need to modify your plan to adjust your payments based on the new income information. I missed a plan payment(s), what do I do? Please set up an appointment to meet with the attorney and discuss your options. We can determine if it is necessary to file a motion with the court to excuse the payment(s) or make adjustments to your plan to bring it back on track. I received a notice from my mortgage company regarding a change in interest rate, payment, etc., what do I do? Please set up an appointment to meet with the attorney and discuss your options. We may need to make adjustments to your plan or pursue a loan modification with your lender. Home refinance: A good faith estimate from your lender that breaks down principal amount of the loan, interest rates, length of loan and monthly payment. This document is provided by your potential lender. New purchase: Good faith estimate that breaks down the type of vehicle, loan terms, interest rate and monthly payment. To see if you qualify and if a conversion would be in your best interest, please set up an appointment to meet with your attorney to discuss your options. What does it mean to apply for a Plan Modification? The Chapter 13 is a flexible program. Since it is customized to personal circumstances, the plan can be modified to reflect changes in your circumstances. We can extend the length of the program, reduce or increase the payments, take creditors out of the program in the event you want to surrender property, file amended schedules to reflect changes in your income or expenses, etc. If you believe you need to modify your plan, please set up an appointment to meet with your attorney to discuss your options. Transfer of Claims: This document indicates that your creditors have transferred or sold your debt to another creditor. It does not impact your case, but simply provides the new contact information so that the new creditor can receive notices and information pertaining to your case. Notice of Receipts and Disbursements: This is issued by the Trustee and details out what monies have been paid into your case over a specific time period (typically 6 months) and what monies have been distributed on your case. We will review this document. You can review it as well to stay informed on how your case is progressing. You do not need to contact us unless you have a specific concern regarding a Trustee receipt or disbursement. Notice of Trustee’s Intention to Pay Claims: This is issued by the Trustee and advises all interested parties of their intention to pay claims out on a case. We will review this document. You can review it as well to stay informed on how your case is progressing. You do not need to contact us unless you have a specific concern regarding a claim payment. Request for Notice: This is a document filed by a creditor to request to receive notices on your case. You do not need to contact us regarding this correspondence. Motion for Relief from the Automatic Stay: This is a motion that a creditor files if they wish to petition the Court to remove the Bankruptcy protection as to the property which secures their debt, i.e., a house or a car. Typically, they have not been receiving timely payments or other requirements have not been met (up-to-date homeowners or vehicle insurance, unpaid property taxes, etc.). We would need to respond to this motion in order to prevent the protection from being lifted by the Court. Depending on the content of the motion, we will need to explain or refute creditor claims and offer a remedy. Often, these Motions can be resolved through our negotiations directly with the creditor. If not, the matter will be taken before a Judge.If you wish to keep the property relating to the Motion for Relief and/or would like us to respond on your behalf, please make an appointment with our office immediately to discuss your options. If you do not contact our office, we may not respond to the Motion. Motion to Dismiss: This is a motion typically filed by the Trustee. It means that the Trustee is seeking to have the Court dismiss your case for failure to meet case provisions such as: timely payments, income tax refunds (if required), etc. We would need to respond to this motion in order for prevent the case from being dismissed. Depending on what content of the motion, we will need to explain or refute the Trustee’s claim and offer a remedy. Often times, we will need to file a plan modification to address the issue. If you wish to remain in the Chapter 13 and resolve the default, please make an appointment with our office immediately to discuss your options. If you do not contact our office, we may not respond to the Motion. Motion to Compel: This is a motion filed by a creditor or the Trustee which seeks a court order requiring you to perform in a given manner. For example, a court order may be requiring you to remit your federal income tax refunds. If you are unable to comply with the requested action, please make an appointment with our office immediately to discuss alternative resolutions. Affidavit of Default: In the event a previously agreed upon resolution has not been complied with an affidavit of default may be filed by a creditor or the Trustee. Generally, you are given a prescribed period of time to cure the default that gave rise to the affidavit. For example, if payments were missed, an affidavit of default could be filed requiring you to make up the missed payments within 30 days or your case will be dismissed. Many times, curing the default will be the only remedy. However, if you are unable to comply with the requested action; please make an appointment with our office immediately to discuss alternative resolutions. When is my case done? Plans run anywhere from 36 – 60 months. It is possible to complete earlier than 36 months if creditors are paid in full. We conduct the annual reviews on your case to ensure that your plan is running on time. Circumstances that could cause your plan to run long are: missed payments, change in mortgage escrow, certain claims coming in greater than originally scheduled, etc. Your plan could run potentially shorter if you: made additional payments, certain creditors fail to file Proof of Claims and therefore were excluded in your plan, certain claims came in lower than originally scheduled, etc. Please keep in mind that sending additional payments will not necessary result in your case completing early. This depends on the nature of your specific case.We can address these circumstances through a plan modification if need be. If you would like to schedule an annual or periodic review to check on the status of your case, please set up an appointment to meet with your attorney.You may also check the status of your case and payments online at www.13datacenter.com. You will need to drop down to “Michigan”, under your Trustee’s name and click on that name. Once you get to that website, click on “log in”. The User ID is your case number and the Password is your social security number. Enter your case number and social security number without any hyphens. You can see when your plan is set to discharge. Please understand that the information and data on the Trustee’s website can be confusing, technical, and even misleading to the novice reader. Generally, the most helpful aspect of the Trustee’s website is your ability to review your payment history and disbursement history. Please don’t draw conclusions or take action based upon your review of the Trustee’s website. Instead, you are encouraged to make an appointment to discuss your questions and concerns related to the Trustee’s website. Case Reinstatement: We can file a Motion with the Court to Reinstate your case in limited circumstances where cause exists. Refile: We can begin a new Chapter 13 proceeding and introduce a new payment plan. Chapter 7: If you qualify and depending on your circumstance, a Chapter 7 may be an option to satisfy your debts. Once your case is filed with the court, you are automatically under the protection of the United States Bankruptcy Court. This means that no creditor should garnish your account(s) and/or wage(s), your vehicles cannot be repossessed. In addition, the creditor cannot communicate with you until after the protection has been lifted. Here are some of the commonly asked questions or issues that arise. I received notice of an Administrative Closing, what is this? If there were any judgments against you then you will receive a letter from the state court stating that there has been an administrative closing. This letter states that whatever case they had against you was closed because of your bankruptcy process. They can not come back for the money you owe them once your Chapter 7 Case has been discharged. Whatever amount you owed to them will be included in your discharge. My Chapter 7 case has been discharged, but I am still being contacted by creditors and/or my credit report still shows these debts as active, what should I do? You simply need to fax or mail a photocopy of your court discharge. You should have received your discharge within 2-4 months after your 341 hearing. Send a copy of the discharge to the creditor that is negatively reporting and also send a copy of the discharge to the credit reporting agency. Here is the contact information for the three (3) credit reporting agencies. Save all correspondences that you send to the creditor and/or credit reporting agency. If the issue is not properly resolved within 2 months, set up an appointment with our office. We will need you to bring in all documentation that has been sent to the creditor and/or agency so that we determine a course of action. I lost my discharge paperwork, what do I do? What are my credit counseling requirements? Also, I have been receiving solicitations from many different agencies, which one do I choose? You are required to complete the initial credit counseling at least one calendar day before the case it filed. We cannot file the case without this. If two people are filing, both must complete the counseling. The second portion of credit counseling, also know as the “Debtor Education,” must be completed within 35 days of your 341 hearing. Upon completion, you must forward us a copy of the certificate and we must file this document along with a Form 23/Certificate Concerning Financial Management (we generate this form) with the court in order for you to receive a discharge of your debts. If the certificate is not filed in time, the Trustee can dismiss your Chapter 7 case. All fees are due before the certificate is filed with the court. In the event that your Chapter 7 case is dismissed, we must file a motion with the court in order to have it re-opened. The cost to do so is $410.00 ($260 for court filing fee + $150 Attorney Fees to draft the motion). This “Debtor Education” consists of a study book and multiple choice-style quiz. If you are completing the counseling by phone, a book must be ordered in advance. This can take up to two (2) weeks. If you are completing the counseling online, it can be downloaded off of the website immediately. You can use and reference the study book while you are completing the quiz. The process typically takes 2 – 4 hours. You will receive many correspondences from agencies regarding the pre-discharge or Debtor Education credit counseling. You can do your counseling with one of those agencies, but keep in mind that we can not guarantee the court will accept their certificate for your Chapter 7 Bankruptcy process. All agencies must be certified by the court in order to have their certificates accepted as valid. GreenPath: www.greenpathbk.com or 866-648-8120. The cost is $60.00 for two (2) people or $50 for one (1) person. Unless you have paid our office directly and have received a billing code, you must pay them directly to receive counseling. In Charge: www.personalfinanceeducation.com or 866-729-0049. You must pay this agency directly. The cost is $25.00 for one (1) person or for two (2). What occurs at the 341 Hearing? Is there a dress code? Although there is no formal dress code, understand that it is a formal legal proceeding and a neat appearance is appropriate. Hats, shorts or t-shirts are not favored. What should I bring? Driver’s license, original social security card or original W2 form and any documents that have been requested of you but that you have not submitted to our office already (i.e. tax returns, real estate documents such as recorded deeds or mortgages, etc.) If you do not bring outstanding documentation to the hearing or if we did not receive it in adequate time to turn over to the Trustee’s office for review, your hearing may be adjourned. If another hearing is necessary, our office charges and additional $150.00 for representation at that hearing. 341: There are two (2) main purposes of the 341 hearing:1.) Confirm your identity through driver’s license and original social security card or original W2 form2.) Allow your creditors and/or the trustee to ask clarification questions regarding paperwork that was filed with the court. The questions are case-specific, but generally not adversarial. Please arrive 30 minutes prior to the hearing so that the Attorney can discuss potential questions that may arise during the hearing. This hearing is held in a conference room and is conducted by the Trustee’s office. A judge is not present. How long will the hearing take? The hearing typically takes 5 minutes or less. We ask to you be at hearing 30 minutes in advance to discuss any open issues with the attorney. What is an Intent Letter? If you have purchased personal property such as jewelry, furniture, etc., the loan may be considered a secured debt. This means that you cannot keep the property and eliminate the debt. You must give it back or make voluntary payment arrangements. Common creditors of these types of debts are: Gardner White, Best Buy, Art Van, Circuit City, Kay Jewelers, etc. You will receive a correspondence from our office asking what your intention pertaining to the items that you purchased from their company. You will have the choice to reaffirm, redeem or surrender the item(s). Because these are considered to be “secured” debt obligations, the debt is discharged but the creditor has the right to take back the collateral. If you reaffirm a debt you are agreeing to make continued payments. They will then send a reaffirmation agreement to our office stating the terms of the agreement. If you need our assistance to execute the re-affirmation agreement, we charge $100 fee per agreement. If you don’t wish our assistance, you may re-affirm on your own, but you may be required to attend an additional hearing to approve the agreement. If you decide to redeem the property, then you will give an offer as to of how much you want to pay for the merchandise. The creditor can accept or deny your offer. In some case they will give you a counter-offer. If your offer is accepted then you will have to decide if you want to pay the amount at one installment or over a course of payments. They will need to know this information in advance in order to do draft the reaffirmation agreement properly. There is also a $100 fee per agreement. If a motion is required the fee for such motion is $600.00. If you decided to surrender the property then you can just write your contact information on the form that the creditor provides. We can also indicate this on the schedules that are filed with the court. Once your case has been discharged the creditor will contact you to arrange a time for pickup. A reaffirmation is a promise to pay on an item that you wish to keep. Once the agreement is signed, we will send the agreement to the creditor that mailed it to us. They will file the reaffirmation with the court. Once the signed agreement is filed the item(s) that you reaffirmed on are no longer part of your bankruptcy. This means if you default on your payments you are responsible for anything that is owed and debt is non-dischargeable. We charge $100.00 to execute a reaffirmation agreement. At that time, we will meet with you to discuss your budget and the pros and cons of signing the agreement. Can I rescind a Reaffirmation Agreement? Yes. You have the right to rescind a reaffirmation agreement by providing written notice to the creditor within 60 days of reaffirming the debt or discharge of your case, whichever comes later. If you are considering rescinding a reaffirmation agreement, please contact our office. If you are leasing a vehicle and wish to keep the vehicle, then you will need to sign a lease assumption agreement. This is just stating that you wish to keep the vehicle and that you will make your regularly scheduled payments. By signing this statement you are taking the vehicle out of the bankruptcy which means that if you default on the payments and the car is repossessed then you will be responsible for any amount that is owed to that creditor and the debt is non-dischargeable. If you are facing substantial damage or over mileage charges you are strongly encouraged not to sign this agreement. If you do not sign the agreement, the creditor has the right to take back the vehicle. This is at the discretion of the lender and they may or may not do so. What is a Motion for Relief of Stay and/or Order Granting Motion? This is a Motion, typically filed by a mortgage company or car lien holder (the company that you purchased the car from), requesting to have the bankruptcy protection lifted from your home or vehicle. Once this order is granted then you should contact your creditor for next steps. If you own a home and intend on keeping it, you are free to negotiate directly with the lender for a workout option or loan modification once the “stay” has been lifted. If you are planning to surrender the property, the mortgage company will begin a foreclosure proceeding, if they have not already done so, and you will typically have 6 months after the date of foreclosure to continue residency in your home. If the house becomes abandoned, the lien holder may take the property back sooner. We recommend you continue homeowner’s insurance for content only and continue to remain current on utilities. In the case of a vehicle, if you don’t make direct payment arrangements, the vehicle will be repossessed. Because a Chapter 7 is primarily designed to discharge unsecured debts, our office will not routinely respond to motions for relief from the stay. If you would like us to respond to a motion for relief from stay and if cause exists to do so, there is a $250.00 fee for doing so. I want to keep my vehicle after Bankruptcy, what are my options? You may have the option to re-negotiate the terms of your vehicle loan. The first option is through redemption. This program allows you to keep your car by paying the lesser of the amount owed or the fair market value to the creditor in a lump sum. In effect, you are buying the vehicle for its current value, typically using third party financing. Third party financing is available in most circumstances. This is your right under the law. To discuss these options and to determine whether redemption is in your best interest, set up an appointment with our office. The second option is a Reaffirmation agreement. If you would like to keep your vehicle after the filing of a Chapter 7, your lender will often require that you sign a reaffirmation agreement. This states that you will continue to make regular payments on the debt. This is a proposal that is drafted by your lender and typically re-states the terms of your original contract or agreement. I am no longer receiving bills on secured debts that I intend on keeping, why is this and what are my responsibilities? If you are planning to keep your home or vehicle then you will need to make payments to them during the Chapter 7 process. Your creditors will not send you any bills and any automatic deductions will cease. Therefore, you will have to send in your monthly payment(s) to the address that you have always sent them to, unless you receive a correspondence from our office stating otherwise. It is imperative that you maintain your payments on all debts you are re-paying to avoid the potential of foreclosure, repossession or utility shut-off. What is an Order of Discharge of Chapter 7 Debtor? This states that you have completed your Chapter 7 Bankruptcy and are discharged from all applicable debts incurred prior to your case filing. You should keep this discharge for your records. In the event that you are pursued further for collections on a debt discharged through your case, send that creditor or agency a photocopy of your discharge. Maintain copies of any correspondences you have with creditors such as this after your discharge. What is a Presumption of Abuse? The Trustee may enter a Presumption of Abuse after you have attended your 341 hearing. This states that the Trustee just wants to take 30 days to look into your case and related documents. After the 30 days, he or she will either 1.) File a motion to dismiss your case 2.) File a motion to convert your case to a Chapter 13. or 3.) File a statement maintaining that they will not be dismissing the case. If the Trustee does decide to file a motion to dismiss or motion to convert, the attorney handling your case will contact you to inform you of the next steps in this process. If the Trustee does not intend to dismiss your case, it will proceed to discharge. What happens if I incur debt after my filing? You will be responsible for paying any debts that you incur after the date of your case filing. What is an Adversary Proceeding and what do I do if one gets filed on my case? An adversary case occurs if a creditor disputes the dischargability of a debt. This is a separate complaint and court proceeding than your Chapter 7 case. An example of a complaint would be credit card use (typically in excess of $600.00 and/or a major purchase) 90 days prior to case filing. As a safeguard, we go through a list of questions with you before we file your case so as to avoid adversaries. Pursuant to our fee agreement, we are not retained to handle adversaries and/or contested matters. If you wish to engage our services to handle an adversary, please make an appointment to discuss your options. While the consultation to discuss these options is free, the typical retainer to handle an adversary is $1,500 – $2,000.00. If you are a member of a credit union and owe money to that union, you will want to get any money out before your case is filed. Once the credit union receives notice of your bankruptcy, they can and will take money from your account in order to pay on a debt that you owe to them. Request an appointment with my attorney. Please click here and fill in the information and a member of our staff will confirm an appointment time for you within 24 business hours. To e-mail us your questions(s), please click here and fill in the information so that we can route your information appropriately. A member of our staff will get back to you within 48 business hours. Call during business hours at 866-261-8282. Have you had a positive experience or do you have a great story to tell about how your finances have turned around through our programs? Please submit a testimonial. These are reviewed by a manager and routinely posted to our “Testimonials” section.